Keilbalsa has a new design! We re-vamped this toy and added our own bright and colourful beads! This toy is great for the birds who love to rip and shred. 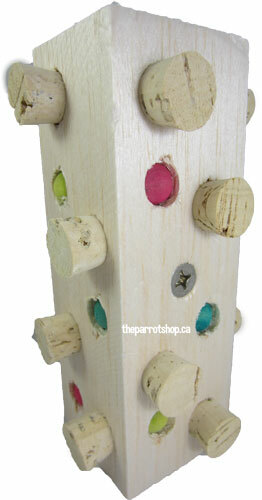 A big huge chunk of balsa stuffed with corks and colourful snappy beads will provide extra foraging fun. 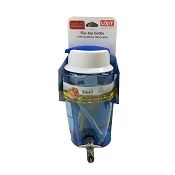 Comes with stainless steel hardware for mounting to the side of your cage.